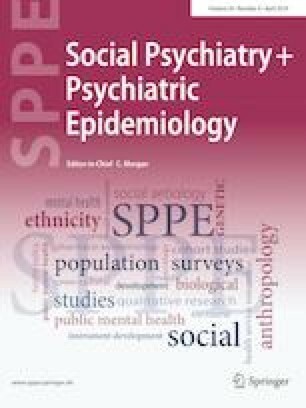 To examine the cost of psychotic disorders in Bulgaria prior to hospital admission and following discharge from two perspectives: healthcare and societal; and to evaluate the association between the costs and the patient’s characteristics. 96 individuals with psychosis experiencing psychotic exacerbation and their primary caregivers were evaluated upon the patients’ hospital admission. The participants were followed up after 12 months. The costs were evaluated from healthcare and societal perspective using the Client’s Sociodemographic and Service Receipt Inventory (CSSRI-EU). The psychopathology, functioning, quality of life and caregiver’s burden were measured using standardized instruments. The mean differences in the costs and the associations with the clinical and socio-demographic characteristics of the patients were evaluated. The healthcare costs increase from EUR 120.66 (SD = 163.85) at baseline to EUR 177.54 (SD = 136.98) at follow-up. The total cost from societal perspective are up to sixfold higher than the healthcare costs at both assessments [EUR 717.41 (SD = 402.33) and 880.40 (SD = 1592.00), respectively] and do not change significantly. A major shift in the subtypes of costs, and significant associations of the costs with the socio-demographic and clinical characteristics, were found. Psychotic disorders and psychotic exacerbations have high societal costs. The underfunding of mental healthcare in Bulgaria is at the expense of high caregivers’ and societal cost. The treatment of psychotic exacerbation is effective and investment in mental healthcare for the improvement of the psychopathology, social functioning, quality of life and the burden of informal care should be viewed as a sustainable investment. The study was conducted in accordance with the ethical standards laid down in the 1964 Declaration of Helsinki and its later amendments. The study protocol was approved by the ethics committee of the Medical University of Sofia. All participants gave written informed consent prior to their inclusion in the study and their anonymity was guaranteed.